At the 2016 Olympic Games in Rio this summer, we witnessed some incredible achievements by the world’s best athletes. These performances are of course not down to luck, but years of training, planning and competing to get to that one point where you need to deliver the optimal performance. One of the sayings that I have heard a number of times in professional sporting environments is “Plan the work, work the plan”. This might, of course, be a simple point to make, however having the right training plan – and working that plan – is key to success at both the professional and non-professional athlete level. How to find the right plan? As Stephen Covey says, “start with the end in mind”. In other words, start with the performance and work your way back. In professional sports, this is called a “needs analysis” whereby we find out what is required from the athlete, both physically and mentally. Physically we are looking for key components that will lead to the athletes having the opportunity to express themselves on the pitch, or during a race. Duration of the event: average times for age and fitness levels. Start time of the event: is it a daytime or evening event? Course or surface of the competition: find out about normal weather conditions and elevations (especially if you are traveling to a marathon). Think about those who have previously completed the race, their experience and results: visit a marathon review website to get feedback from other participants. Once this needs process is completed, we can start to plan the training for the event. The first point to make is that non-professional athletes must leave enough time to complete the training. One of the biggest problems we see is people leaving it too late to get the physiological changes to allow for a successful performance. This can lead to overtraining as we try to force and fit all the training into a condensed period of time. The second point is that the event must be realistic. For example, if someone has knee problems, then training for a marathon would not be a great idea as it would/could exacerbate the problem. This would mean an even longer period of training and preparation, as we would need to address this problem before starting to train for the marathon. It would not, of course, mean that the person could not train to improve their fitness levels by other means. However, this issue would need to be resolved by improving their strength and biomechanics. What is Periodisation and what are the benefits? When we look to plan the training, we split the training down into blocks or cycles of training. This is more commonly known in sports science as Periodisation. The first and biggest cycle is the macrocycle. This cycle can last between 1 year to 4 years. From a professional standpoint, this is dependent on the sport that you are planning for. In team sports, such as rugby and football, the macrocycle will last 1 year (length of a season), whereas in an Olympic event the macrocycle will last 4 years – from one games to another. The next cycle is the mesocycle. This cycle can last between 4 to 8 weeks. 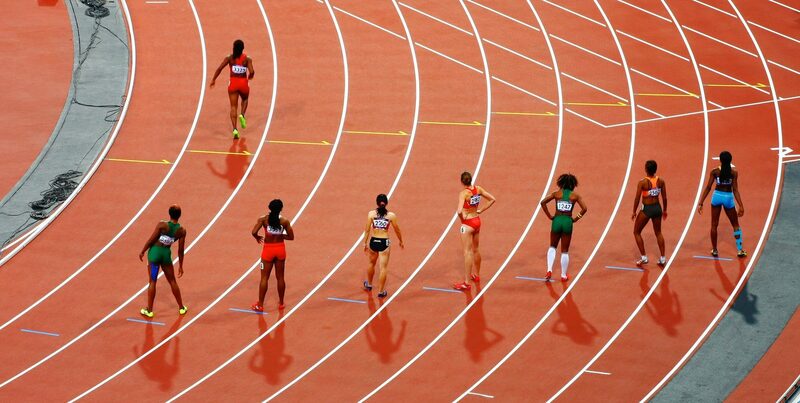 This is the period of training that the athlete will try to develop certain objectives and adaptations. The last cycle is the microcycle, which can last from 7 to 10 days. 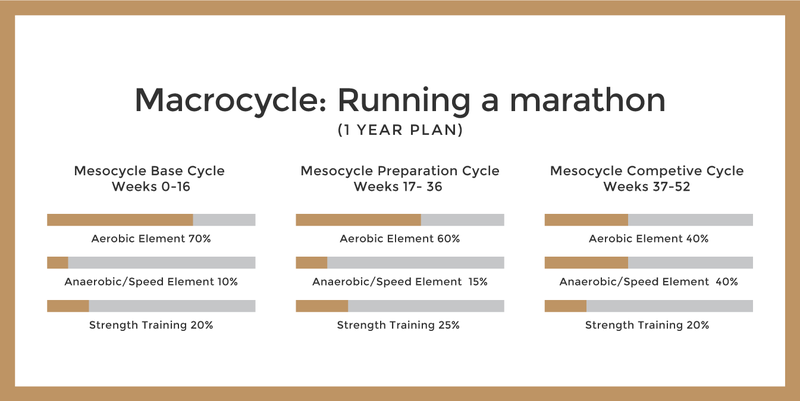 This cycle refers to the number of training sessions which occur during this period of time. In team sports, it normally denotes the week between games. Aids in reducing the risk of injury and overtraining (Plisk & Stone, 2003). Allows for adaption from training (Fry, Morton, & Keast,1992). Allows for monitoring of training and tracking of improvements. Develops structure around the training and allows focus on small clear goals. How can non-professional athletes use Periodisation? 1. Aerobic Endurance: The main energy source used during a marathon is the aerobic energy system (Sjodin & Svedenhag, 1985) and the level of aerobic capacity is a strong determining factor of marathon performance (Hagen et al, 1980). Development of this system will improve performance and aid in the recovery from both speed/tempo runs and strength sessions. 2. Speed/Tempo Run: Another performance indicator for marathon performance is the anaerobic capacity of an individual. Therefore, the use of sustained efforts at a harder pace than normal is used in training to improve performance (Laursen & Jenkins 2002). 3. 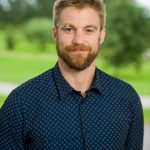 Strength: Development and research into the understanding of strength training for endurance sports has significantly increased over the last 10 years. Strength training has been shown to increase running economy (Barnes et al., 2013), reduce and delay fatigue (Ronnestad & Mujika, 2014), and reduce the risk of injury (Hrysomallis, 2009). In the end, it’s time to work the plan. Plan your training so that its main focus is to help you improve or succeed in your specific event. Break these down into small clear goals that can be achieved from week to week. Clear goals are the key to achieving incredible results. Simple things done consistently will lead to extraordinary results. 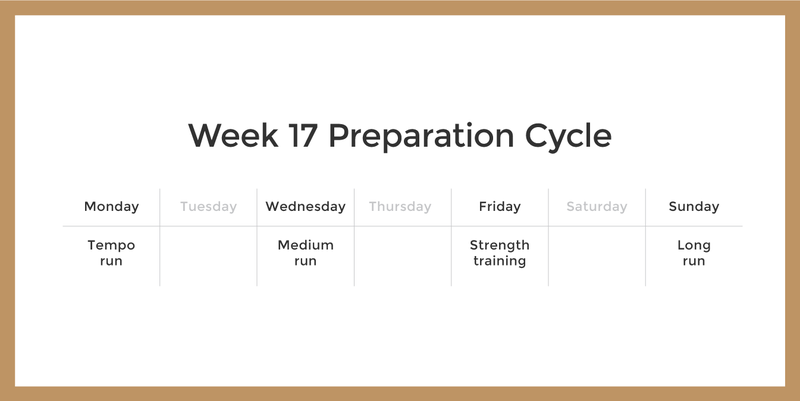 An example of week 17 in the preparation cycle might look like this. Conversely, the use of periodisation can have far-reaching effects on productivity in the business world – as it could be very useful to align your goals in a periodised structure. For instance, breaking the goals or focus down into macro goals (1-year goals), which should allow enhanced planning for meso goals (4-8 week goals) and then to micro goals (day to day goals). As Gary Keller has stated, “Live with purpose, live by priority and live for productivity”. 1. Barnes, K. R., Hopkins, W. G., Mcguigan, M. R., Northuis, M. E., & Kilding, A. E. (2013). Effects of resistance training on running economy and cross-country performance. 3. Covey, S. R. (1991). The 7 habits of highly effective people. New York, NY. : Simon & Schuster. 4. Fry, R. W., Morton, A. R., & Keast, D. (1992). Periodisation and the prevention of overtraining. Canadian journal of sport sciences= Journal canadien des sciences du sport, 17(3), 241-248. 5. Hagan, R. D., Smith, M. G., & Gettman, L. R. (1980). Marathon performance in relation to maximal aerobic power and training indices. Medicine and Science in Sports and Exercise, 13(3), 185-189. 6. Hrysomallis, C. (2009). Hip adductors’ strength, flexibility, and injury risk. The Journal of Strength & Conditioning Research, 23(5), 1514-1517. 7. Keller, G. (2013). The one thing: The surprisingly simple truth behind extraordinary results. Hachette UK. 8. Laursen, P. B., & Jenkins, D. G. (2002). The scientific basis for high-intensity interval training. Sports Medicine, 32(1), 53-73. 9. Plisk, S. S., & Stone, M. H. (2003). Periodization Strategies. Strength & Conditioning Journal, 25(6), 19-37. 10. Rønnestad, B. R., & Mujika, I. (2014). Optimizing strength training for running and cycling endurance performance: A review. Scandinavian journal of medicine & science in sports, 24(4), 603-612. 11. Sjodin, B., & Svedenhag, J. (1985). Applied physiology of marathon running.Sports Medicine, 2(2), 83-99.